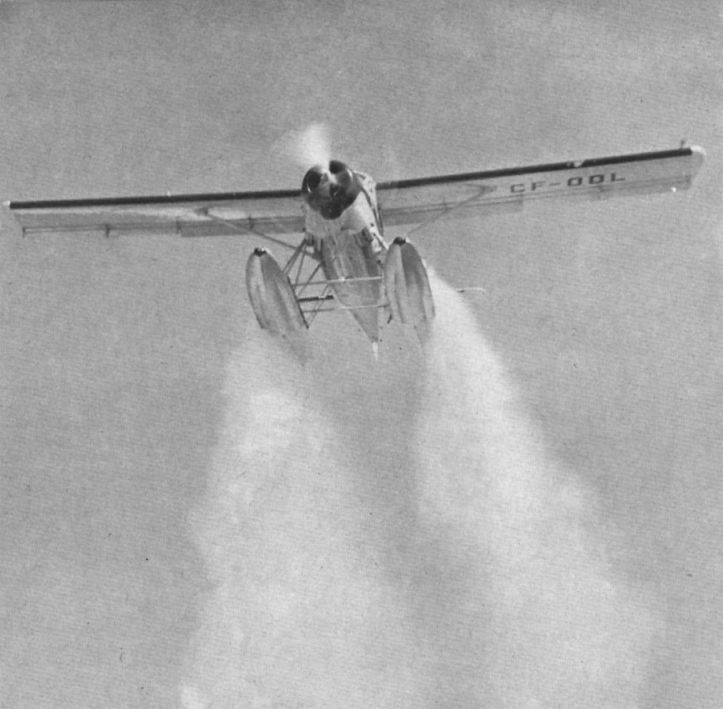 A de Havilland Canada Turbo-Beaver water-bomber dumps its 140 Imp gal load from its float tanks. The Consolidated PBY-5A Canso water bomber made its appearance in 1961. 800 Imp gal are carried in the hull. 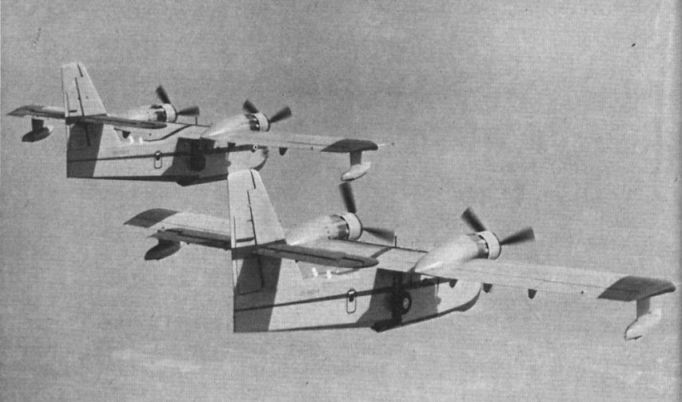 The first two Canadair CL-215s from the Montreal assembly line on a test flight over the Laurentian Mountains. 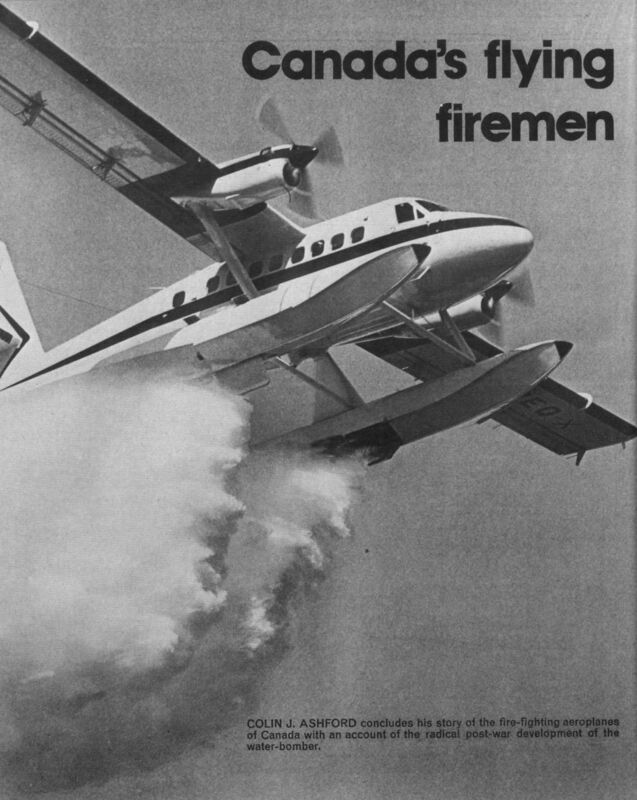 The type has also been delivered to the Service de la Protection Civile de France. 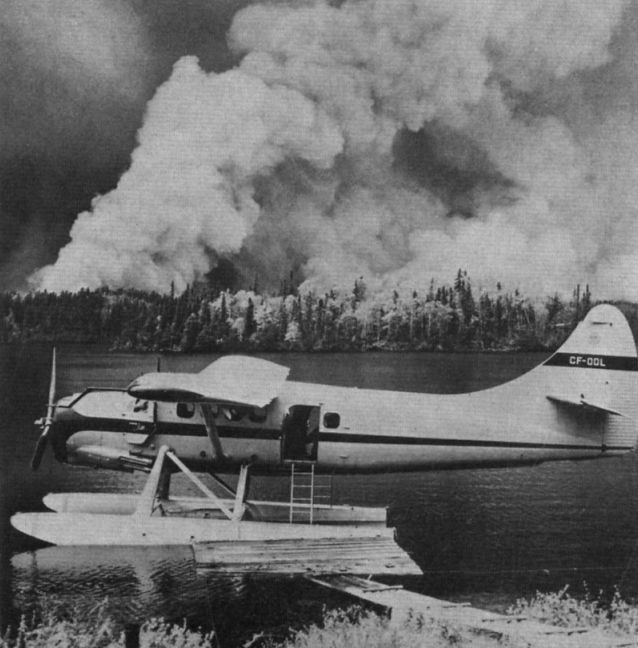 A D.H.C.-3 Otter at the scene of a widespread forest fire. 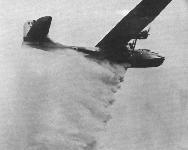 The Otter was the first of the smaller water bombers. 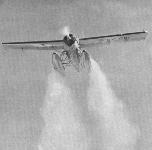 A D.H.C.-3 Otter demonstrates its water-dropping capabilities at the Sault Ste Marie Air Service Base in 1958. About 180 gal could be carried.